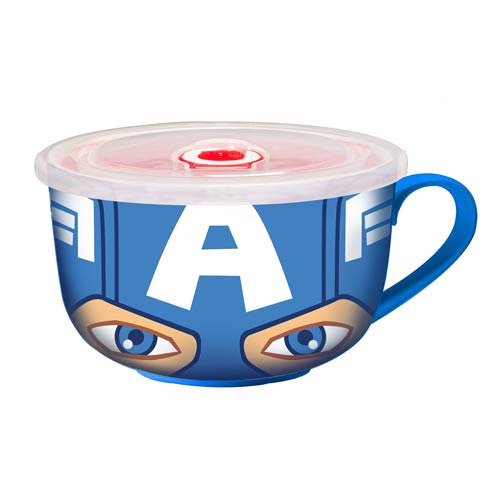 Steve Rogers would love the convenience of this awesome Captain America Travel Soup Mug! It's a soup bowl and mug all in one. Featuring Captain America's mask, and complete with a lid, this travel soup mug is perfect for fans of Marvel's Iron Man or The Avengers! Each mug holds approximately 24 ounces. Dishwasher safe. Microwave safe. Ages 14 and up.